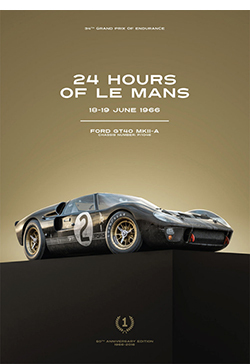 With the 2018 LeMans 24 hour race having now passed into history with Toyota’s emotional victory, it is worth noting that some of the most vivid racing art features France’s greatest race. 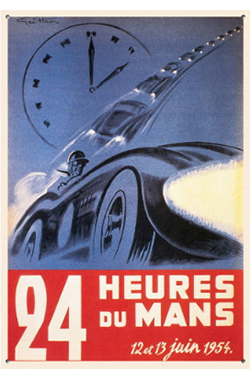 From its inception, the 24 hour race has pitted man and machine against the clock and each other. The massive race cars of the early years were lightly disguised road cars, but today’s purpose-built prototype race cars are capable of speeds over 200mph. The pits have changed dramatically over the years, but the race course has not. The Mulsanne Corner at the end of the famous straight is the same as it has always been, excepting that the old signaling pits have been torn down. Indianapolis and Arnage are the same old corners despite repaving at some point. Some turns have been made safer for the much faster machines of today. Tall trees line the course wherever regular road meets race course because the bulk of the course is comprised of everyday French roadways. 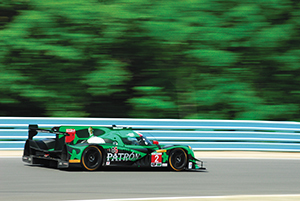 Only steel barriers protect wayward race cars from a nasty crash. There’s so much at LeMans to absorb. There’s the race itself and its long history. 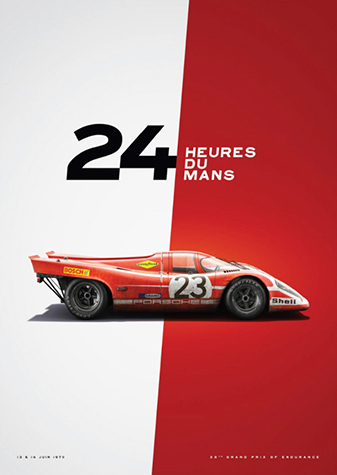 In the same way that Indianapolis, Monaco and Daytona are icons to their form of motorsport, so too is LeMans to endurance racing. Every spectator feels the atmosphere from the time they enter the main gate. The museum to the left with the pits to the right. The Dunlop bridge to the left and the classic ferris wheel to the right. The Rolex clock, the massive stands. However, that’s just the first few minutes. Spend 24 hours here and visions dance in your head of great races and race cars past. Artists through the years have found beauty at the great race and portrayed it through great art. 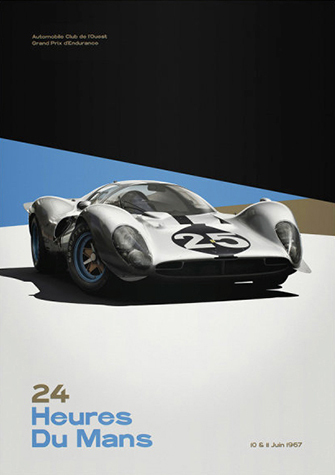 The track appreciates the relationship between art and racing by featuring a higher level of art in their event posters. Above left, the 1954 race is captured in one speeding car. Art of the moment, retro now. 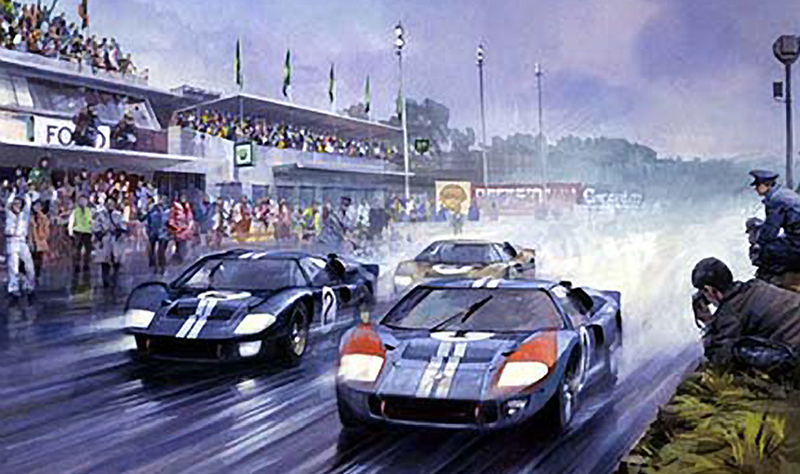 A more modern take is the poster at right celebrating the great Ford GT40 MKII, a 1-2-3 winner in 1966. A car having reached the summit of the mountain, a story simply told. 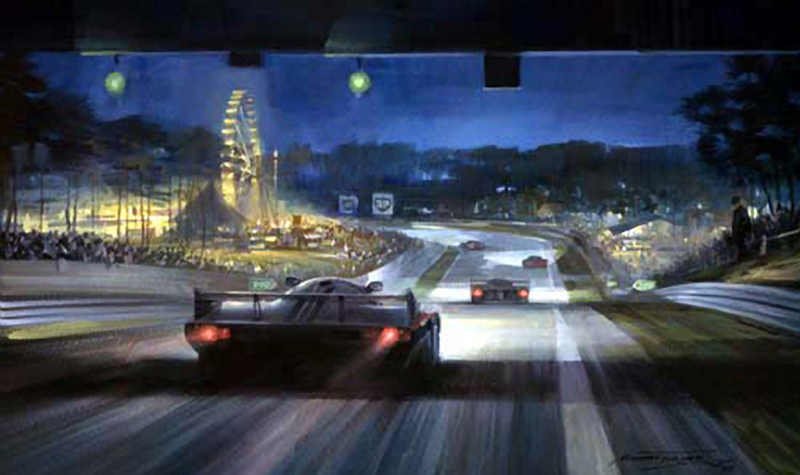 At the top, artist Yuriy Shevchuk captured the majestic beauty of the Porsche 917L while slogging through heavy rain on its way to second place in 1970. 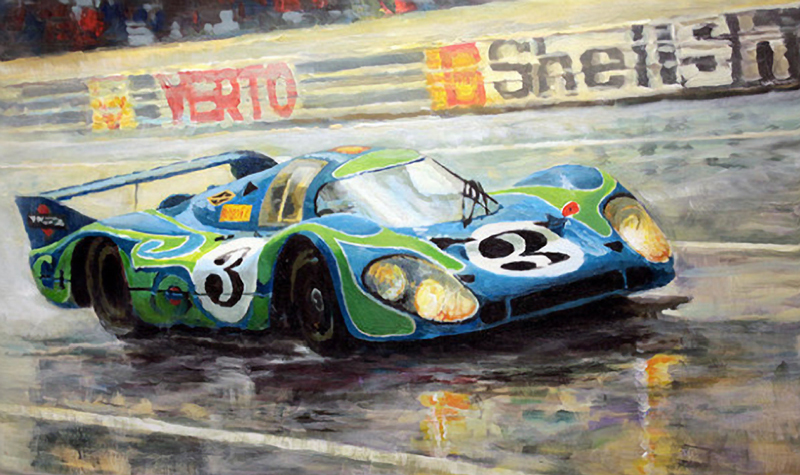 You can find Shevchuk’s Psychedelic Porsche 917L at Fine Art America. 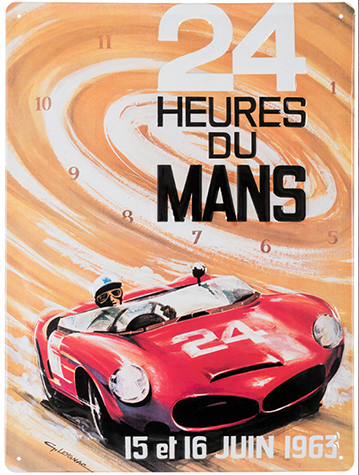 The LeMans Boutique is the official source for LeMans art posters. 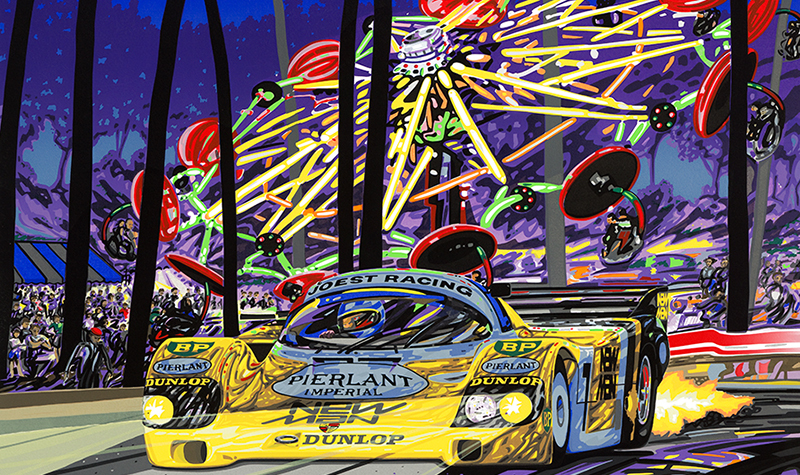 Motorsport Collector is a fine source for the LeMans art of Michael Turner. Turner’s work can also be found at Studio 88. Serigraphs by Randy Owens can be found here.